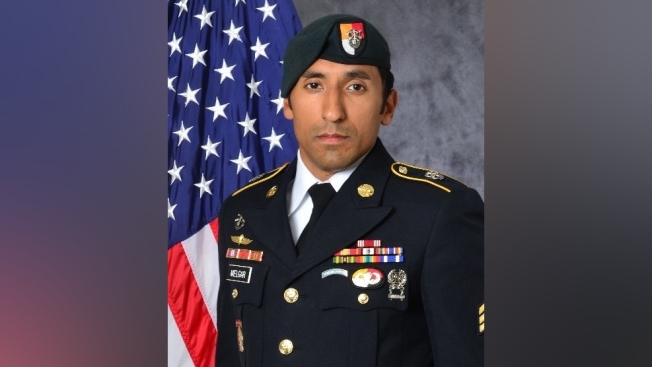 A U.S. Army official photo shows Staff Sgt Logan J. Melgar, the Green Beret who died under suspicious circumstances in Mali in June. Two elite Navy SEALs and two Marine Raiders were charged with felony murder in the June 2017 strangulation death of U.S. Army Green Beret Staff Sgt. Logan Melgar, NBC News reports. The U.S. Navy brought the charges against the four service members on Tuesday, painting a gruesome picture of the effort to kill Melgar, 34. The suspects are accused of driving to Marine quarters to obtain duct tape, breaking into Melgar's room while he was sleeping, restraining him with the duct tape, and strangling him in a chokehold. The four U.S. service members, which include two members of the famed SEAL Team Six, killed Melgar "while perpetrating a burglary," according to their charge sheets. In addition to felony murder, the charges against the four men include conspiracy, obstruction of justice, hazing and burglary.